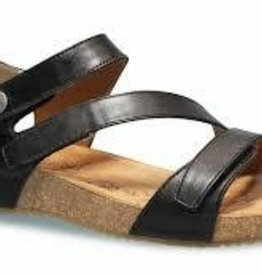 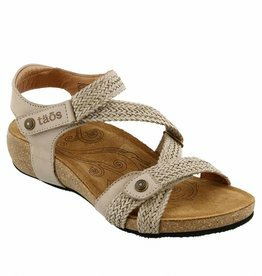 Ziggie originates from Spain with embossed supple leather and man-made woven straps that allow it to be fun, stylish, and comfortable while Taos Footwear's lightweight, padded, contour cork footbed provides the right amount of arch and metatarsal support. 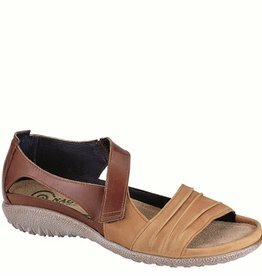 This stylish sandal features a full grain leather upper atop a cushioned cork-wrapped insole. 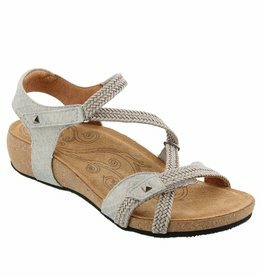 The soft suede lining and durable rubber sole make this a sandal you can comfortably wear all day.